If every sector, every industry, every road, every house… has to be clean, then there has to be more awareness. 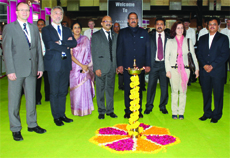 “Clean India Pulire 2011 will definitely help in spreading awareness about cleanliness and help in the management of Industrial and Municipal waste, be it non-biological or biological,” said Chief Guest Dr Vijay Kumar Gavit, Minister for Medical Education and Horticulture, Maharashtra who inaugurated the eighth edition of the Clean India Show at the Bombay Exhibition Centre on November 10, 2011. “Basically, in creating awareness, we have to show different practical examples. I was talking with some industrial people here and they expressed the need to include a lesson on cleanliness for school going children,” he added, saying that the efforts made by the Government alone were not sufficient in spreading awareness. 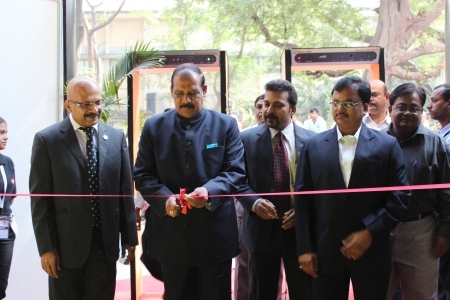 “NGOs and other industries should come forward and join hands with the Government efforts. Then only we can achieve cleanliness. 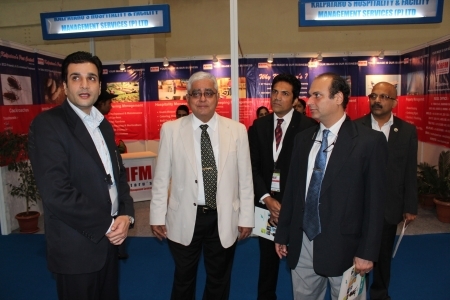 Waste and cleanliness issues are a universal problem and present in every industry and every department. 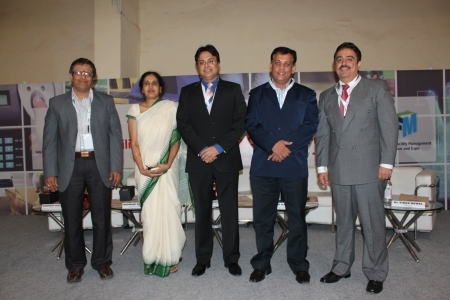 “To solve these issues, different conferences, lectures, and training programmes at various levels will definitely help. labour. 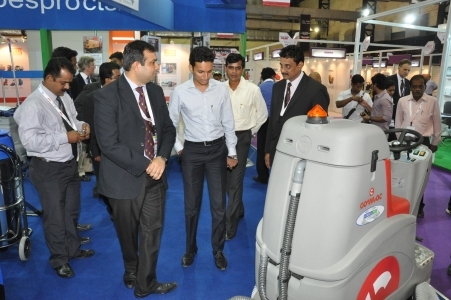 Whatever cleaning work is done with the help of machines will do away the need to use mere hands to do the job. A worker on a ride on cleaning machine will definitely feel honoured to do his work in a more dignified manner which is most important. 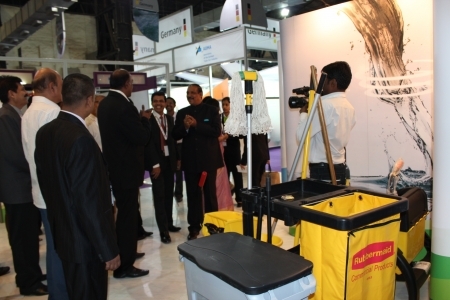 The Show has also mechanised solutions for corporate office, heavy industrial cleaning and for city cleaning. 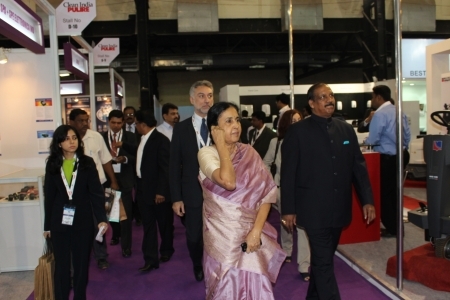 MCGM will always be supportive of such exhibitions in future also,” said B.P. Patil, Chief Engineer-SWM, Municipal Corporation of Greater Mumbai. 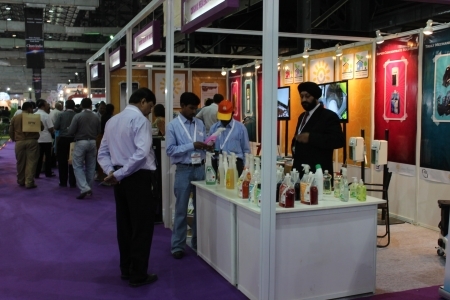 Surpassing its past records, the three-day Clean India Pulire 2011 which had the support of Municipal Corporation of Greater Mumbai received an overwhelming response both from exhibitors and visitors alike. “I have not had time to sit idle ever since the Show began. We are having such a lot of enquiries. We are very happy exhibiting in this Show. There were many interesting and potential companies who have approached us for distributorship and we will be looking at finalizing on them once we are back home. We look forward to coming back again,” said Gigi Haug, Export Manager of Haug Bursten, Germany. 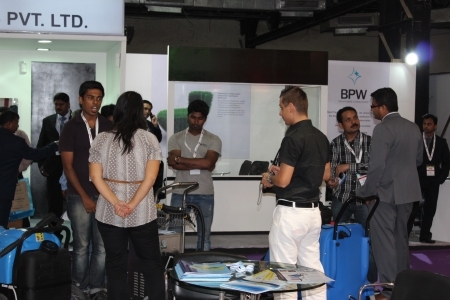 Organised by Virtual Info Systems Pvt Ltd along with Afidamp Servizi srl, Italy, and Clean India Journal, this premier Show of Asia witnessed the right mix of products on display and well-represented cleaning solution seekers. 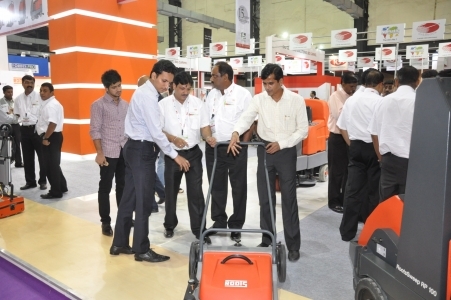 “This is the first time and first-of-its-kind cleaning show of this scale that I am visiting. Overall the conferences, seminars, equipment supplying countries are all well attended and represented… everything is good. But there has to be deeper penetration into the cleaning chemical sector. Being into distribution for decades, I was looking at opportunities to expand distributorship by entering into a new sector,” Nitin Thapar, Director, ANG Pvt Ltd, New Delhi. 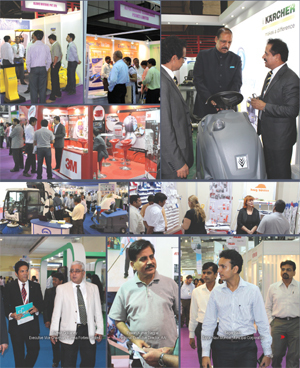 More than 200 brands of professional cleaning tools, chemicals and machines for various applications were showcased. There were exclusive Italian and German pavilions, among the 100 stalls with participation from 11 other countries, including the UK, Australia, Dubai, Austria, Malaysia, Hong Kong, China, Turkey, Ireland, Switzerland and India. 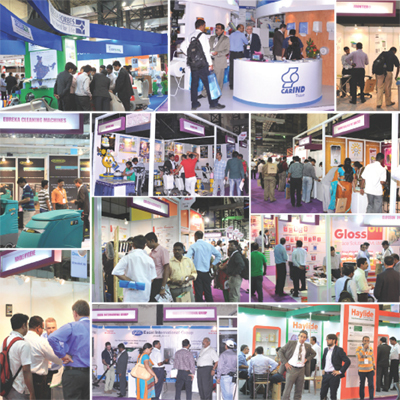 Establishing a footfall of more than 4500 quality visitors, Clean India Pulire is one of the leading and largest cleaning shows of Asia. 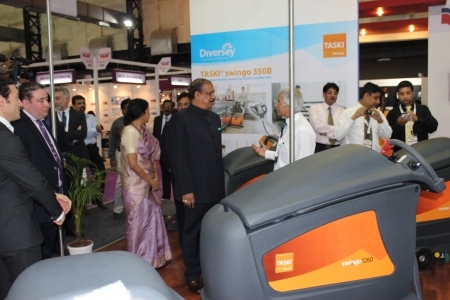 “I found the Clean India Pulire Show quite interesting – I got to see some new products and few new enhancements that will help increase efficiency. I also got to interact with fellow colleagues from the hospitality and hygiene industry and also the audience from different sectors at the exclusive conference,” stated Aseem Kapoor, General Manager, Hyatt Regency, Mumbai. It is perhaps, the only cleaning show in the world that nurtures a sense of belonging to everyone who is associated with the cleaning industry. 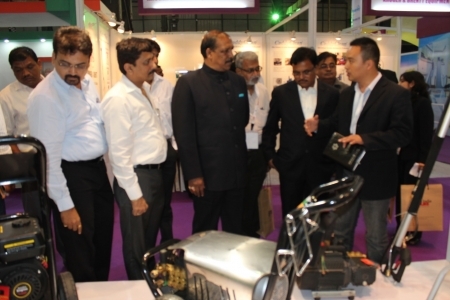 The same feelings were echoed by the international exhibitors, who used this channel to reach out to the fast growing Indian market and found this the right platform for networking and business transaction. 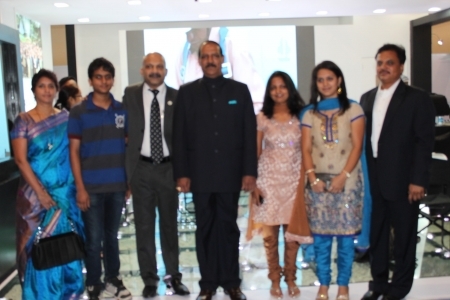 “We in the Indian cleaning industry look forward to this event, as this is the only Show where we get to meet with co-players. It gives a feeling of reunion,” said Om Sabu of Soma Specialities, a veteran who has been with this Industry for over a couple of decades. “I have not been to such a cleaning-specific Show before. Most of the shows that I have visited were hotel related. In fact, cleanliness & hygiene is a critical aspect that is not given its due importance and has remained a back-of-the-house function in the kitchen. Cleanliness, in the hospitality sector, has been more audit-oriented rather than a day-to-day practice. With the new food law being implemented, hygiene issues are more critical. It is high time we wake up and replace the outdated ways of kitchen cleaning. Cleaning & hygiene practices should be a way of life… it should be the DNA of our food production,” emphasized Chef Bhaskar Sankhari, Executive Chef-ITC Grand Central, Mumbai.